This week I’m going to keep it short—no, really, I promise. All I’ve got for you this time is a few Jim-Gaffigan-style observations about “legacy” as it pertains to movies. Well, I’ve also got a five-minute routine on prostate exams in case I ever find myself on The Tonight Show with Jimmy Fallon, but I’m saving that for NBC. Let’s talk about the word “legacy” and what it means. It’s a word that’s been popping up a lot lately, and is so ubiquitous in our culture that it’s hard to go a day without hearing it in one context or another. The producers of the new Star Wars movie are referring to Luke, Han, and Leia as the film’s “legacy characters.” Comic book movies like Ant-Man have “legacy heroes,” referring to older heroes passing the torch to the next generation. When a movie sequel comes out, such as Mad Max: Fury Road or Terminator: Genisys, talk turns to how the new film impacts the legacy of the original. People debate whether it elevates what came before, or diminishes it. Maybe I’m also thinking a lot about legacy these days because I’m coming up on another birthday and I’m starting to wonder about the legacy that I’m leaving behind. I won’t be here forever, and I’m reminded of that constantly. As Dr. Henry Jones, Jr. famously said, “It’s not the years, honey, it’s the mileage.” My memory isn’t as sharp as it used to be, and my body doesn’t always do the things I tell it to anymore. Pretty soon I’ll be eating dinner at 4 p.m. and telling strangers about my IBS. The other day I had a prostate exam and the doctor did the weirdest—NO. Save it for Fallon, Heath. Anyway, I’ve started to wonder if I’m raising a responsible film fan in my own home and teaching my own kid to pay attention to all aspects of a movie, rather than someone who consumes things blindly and without appreciation. Recent signs indicate that I’m succeeding, and I’m encouraged that maybe I’ll be leaving a legacy of my own. So legacy is something everyone seems to be talking about, ESPECIALLY in and around film, an art form we all love and want to see flourish and thrive. I know this is not a new topic for the site, and it’s something that comes up from time to time. I CONSTANTLY think about what Quentin Tarantino said about how he wants to quit before he’s not a good director anymore. He’s concerned about his legacy. It really seems like we make our best art when we’re young, and that we grow softer and more complacent as time goes on. Talent doesn’t necessarily go away, but it often seems to get diluted, so I understand where QT is coming from, even if I’m going to miss him when he’s gone. I’m going to be really honest with you. I kind of wish more people in the movie business would do what he’s doing. Sometimes it’s hard to imagine the latest movie from director name here is made by the same guy who blew the world away a decade or two ago. I promise I’m not going to point fingers and name names here because it’s not fair, but we all have someone that we’re thinking of right now who we wish would have hung it up years ago. You can’t help but think that the awful stuff that director is making now is watering down all the awesomeness that they made years ago. It takes a name that used to be associated with fantastic art and made it cringe-worthy. Here’s a heavy-duty question. Does an artist, actor, producer, or director have any responsibility whatsoever to preserve their legacy? Should an actor who won 16 Academy Awards between 1976 and 1993 spend the next twenty years appearing in awful kids movies and no-budget thrillers, or should they be mindful of their legacy? Should a director who has half-a-dozen masterpieces have an obligation to stop making movies when they’ve said all they have to say? The argument against this, of course, is that a director ALWAYS has something to say, but you know what? I’m not so sure. They may THINK they do, but after the fourth or fifth stinker, maybe they should recognize that the thrill is gone. We could all name two or three (or four or five) filmmakers who used to be awesome but haven’t made a good movie in at least ten years, despite cranking one out every year or two. Is no one worried about their legacy? Admitting that they’ve lost the magic doesn’t necessarily mean they have to retire to a private island and make babies; independent cinema is a perfect place to hone and refine storytelling skills that may be rusty and let other people ascend the ladder to the top. I realize what I’m saying requires a perfect world where actors and directors don’t have bills to pay and don’t have to take jobs because they need the work. It also dictates that studios have a soul, and we all know that every Hollywood executive had that liposuctioned out years ago. Still, there’s the old “one for them, one for me” system that seems to have worked just fine for plenty of actors and directors. 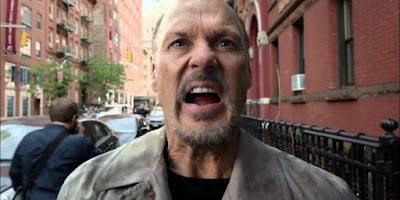 Not every actor could be as ballsy as Michael Keaton, who doesn’t do anything he doesn’t want to do. Even when the movie’s bad, you know he’s committed to it. Now there’s a guy who’s thinking about his legacy. Or maybe he’s not, and he’s just 100% badass. For any of this to matter, it means there has to be a group of people who acknowledge that there actually IS a legacy, which means there has to be recognition and respect for past achievement. I’m not actually sure that this exists anymore. Obviously, the people who come to this site still have that passion, but I often wonder about the people who don’t watch movies with the same passion that we do. How many movie attendees still care about The Marx Brothers, or even know who they were? I was in a big-box store the other day and visited the DVD and Blu-ray section. There among the new releases, right next to Mortdecai, was “The Best of Abbott and Costello,” and I actually wondered who it was there for. Is a modern audience willing to go back and watch acclaimed films from before they were born? More and more, I think the answer is no. I want to be wrong. I fear that the idea of legacy in film is at odds with what that word actually means. It’s a buzz word that makes things sound important, but doesn’t seem to be put into practice very often. OR, maybe I’m just becoming grumpy and out of touch because of that prostate exam. I want actors and filmmakers to care as much as I do. I want them to learn from their mistakes and not be rewarded for taking the easy way out. I want actors who blew me away with their integrity and commitment as recently as ten years ago to stop wearing silly prosthetics and starring in every single soulless blockbuster that they’re offered. I want to know that the movie stars that I enjoy watching today aren’t going to take a dump on their career and embarrass me for having been a fan in the first place. Ah, maybe I’m asking too much. Isn’t it only by making mistakes that we learn? Every director or actor that falls from grace is then in a prime position to make a glorious comeback. There’s nothing like a real-life redemption story, and those happen in Hollywood all the time. The truth is that it’s never too late, and some talent, like wine, gets better with age. Some actors and directors even produce their best work later in life. And besides, it’s probably not my business to comment on why they do what they do or why they agree to take certain films. I have a perception of their legacy, but only they know what their legacy actually is. Maybe I should remember that there’s always (hopefully) another project on the horizon, another chance to get it right. This is who I WANT to be. The legacy of film is that it lasts forever. These transient frames that flicker before our eyes seem like illusions that are gone in a flash, but the reality is that film will outlive us all. In the movie Gladiator, Maximus says “What we do in life echoes in eternity.” I used to disagree, but now I think Max is right, and I don’t want to forget it. I also think that our movies are the biggest legacy of all. They will tell future generations what we lived for and what made us laugh. When we’re gone, they will be the most prolific and true representation of who we were, for better or for worse. I hope it’s for better. Super fascinating article man. The first name I think of is Morgan Freeman. A pretty spectacular actor who takes pretty much any paycheck someone will hand him. Part of me wants to say, "where's your pride?" But then a bigger part of me says, "good for you getting to do what you love!" I think we have to look at entertainers as human beings instead of just sources of entertainment. Even when an artist does something I think is garbage, I'm glad they get to work. I really think we would be fools to dismiss an artist just because we don't like some of their stuff. If we look down on Francis Coppola because we don't like his recent work, that's our problem. The Godfather and The Conversation will always cement him as an amazing director. Yes, he has weak entries in his body of work. But his greatness is impressive enough. Sometimes even one film is enough for me to respect someone. I know everyone hates Michael Bay as an artist, but I don't because I love The Rock so much. I don't even like anything else! But The Rock is enough. As always, I'm fascinating by your work. Thanks for sharing! I agree with Daniel. It can hurt to see somebody talented go through the motions in a "paycheck role", but they are human beings who can spend their time and talents in whatever way they wish. It hurts that Michael Caine was in Jaws: The Revenge, but I've read him say he doesn't regret buying the house that that paycheck got him. Actually, that comment from Caine is enough for me not to mind that he's in it. But then, I've never seen a Jaws sequel because, as JB says, life is too short. Great column Heath! This is a question I wrestle with pretty much weekly. There are times I wish certain actors, directors, or even franchises would just quit while they were ahead. Terminator Genisys made me wish that the series had stopped at T2 for example. But I hesitate to take a definite stand, because we can never know what the future holds. I think that if a director can come back from a five movie slump to deliver something terrific, that's still worth it; because ten years from now we won't care about those five stinkers, but the one great one will live on. Look at George Miller. He hasn't done much in the past 17 years aside from Happy Feet. He has tons of talent, but if he had officially retired in 2000 not that many people would have been too heartbroken I think. But then we wouldn't have Fury Road. He's maybe not the best example, but these are the kinds of exceptions that keep me from definitively stating that after a run of crap artists should throw in the towel. Sadly I think this is never in our own hands. But I look at someone like De Niro: yes, yes the past two decades have been filled with a lot of duds. But do those duds reduce the impact of Taxi Driver/Raging Bull/Deer Hunter/etc? I don't believe they do. The solace is that good stuff will always be good stuff. The desire to create a gem is worth more legacy-wise than being over-protective of what projects you pick/ what you leave behind. A good read, and a nice topic starter. I think, at least when it comes to directors, that a director's career (aside from luck) depends a lot on what the director's background and work philosophy is. Of course someone like Peckinpah or Ridley Scott get/got weaker over time, because they basically worked as hired guns and if putting together a big movie production is just work to you, of course you'll get softer and weaker and loose your focus with age (a generalizing argument, but still). But I think there's quite a few directors who bring their aging along with them in their careers, especially if they know the craft well. Themes shift, perspectives change, they go through different phases, some less interesting to some people perhaps, but it's still creative and fresh. Go through all of Kurosawa's films and you'll actually see the man himself age in between the lines. Then there's directors who try to work within the studio system with projects that just inspire them one way or the other (like Fincher) until they've had it (like Soderbergh) or until they get kicked out and have to work themselves back in again (look at Altman, that's one hell of a career). Then there's people like PT Anderson or Kubrick who have a mad integrity and somehow manages to start over with every project and make something totally singular every time. (Also, they struck flawless deals with their studios). 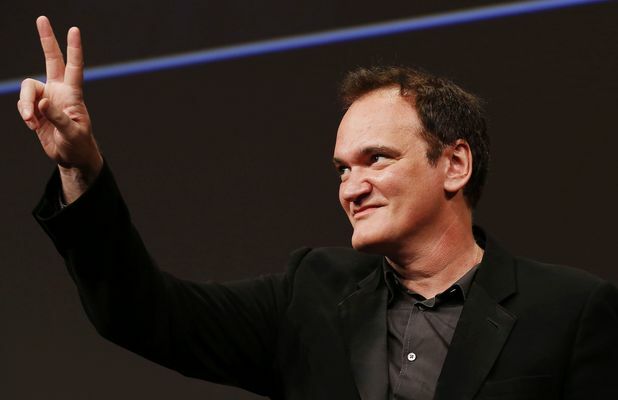 It seems to me like Tarantino has always been working in phases, so I was always confused by his statement. Why can't the older Quentin be a director too? Interesting considerations. Of course I also have some candidates whose participation in front of or behind the camera a few years ago would have made it mandatory to go see it on the big screen. That's no longer the case today. It bothers me less that some actors play in weak films. What bothers me is that they visibly didn´t have any fun making this film. It´s just for the paycheck. This is of course a legitimate thing. How many of us go to work only because of salary checks without having any enthusiasm left for the job? 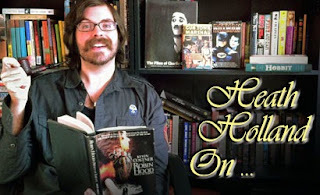 Regarding directors there may be some more factors to consider that will make a good film. There are always ups and downs. Spielberg, De Palma, Scorsese also had ups and downs in their careers. A dud like "Always" or the, at least for me, very disappointing "Hook" is compensated by highlights like "Jurassic Park" and "Saving Private Ryan". Or let´s take someone like John Frankenheimer, whose entire career consists of artistic highs and lows. The hits "French Connection 2" and "Black Sunday" were followed by the disaster "Prophecy". The fine "52 Pick-Up" followed the dud "The fourth was". The horror of "The Iceland of Dr. Moreau" was followed by the classic "Ronin” which I can watch endlessly. So I think what great cinematic experiences would we be missing if these and many other previously stopped with their work? Yes, Robert De Niro could operate with more quality control, but if he is good, he is really good, even today. And I would rather now and then have a great and perhaps surprising experience, than to wish for someone like Gene Hackman to come out of retirement to give us another performance. The legacy for me will always be the good ones. Those I will remember. I think that`s just like in normal life. If I try to remember my youth, I usually remember the good things very easily and nearly forgot about the bad things. Where is the EDIT Button when you need it? Maybe in that climate, Brando wouldn't have needed his ice bucket helmet. I think the idea of filmmakers being curators of their own legacy is problematic for a few reasons. Firstly, people gotta eat. Sometimes even the best of directors/actors fall on hard times and must simply work. And when the do these types of jobs, hopefully they try to do their best work, but the final product isn't always in their hands. Film is the most collaborative art form in existence, and with the way major studios have done business for the last 20 years or so the filmmakers are not always in control of their product. Secondly, no one really knows what they have in their hands until the editing room (except in the cases of unmitigated disasters that is). So if a director gets finished editing and isn't happy with what came out, are they supposed to scrap it for their legacy? No, it just gets released. That's not to say that any great director who comes on to a bad script shouldn't have looked into the project a little further before going down that road , but it's impossible to know what you have on your hands until it's finished. I do understand the idea that maybe these great filmmakers should be more concerned with their whole body of work, but I honestly don't believe that to be possible with the current climate of studio filmmaking. There are simply too many factors at play when making a movie for any one filmmaker to only ever make good ones.